Three American physicists have won the Nobel prize in physics for the discovery of gravitational waves, ripples in the fabric of spacetime that were first anticipated by Albert Einstein a century ago. Rainer Weiss has been awarded one half of the 9m Swedish kronor (£825,000) prize, announced by the Royal Swedish Academy of Sciences in Stockholm today. Kip Thorne and Barry Barish will share the other half of the prize. You can follow this prize — as so many before it — back to Albert Einstein. As Mavalvala explains, the concept of the gravitational wave emerges directly from Einstein’s theory of gravity, the General Theory of Relativity. To say “directly” is, as usual, a bit of misrepresentation. Yes: calculation within Einstein’s 1915 theory does end up at a prediction of gravitational waves, but neither the history of that calculation nor the human story moved down anything like a straight path. First, in 1905, Henri Poincare suggested that gravity waves might exist. Then, in 1915, with his new mathematics of gravity, Einstein began to wonder if his theory would yield such waves, soon concluded it would not, then revisited the question, still during WW I, and proposed that three different examples of gravitational oscillations might actually be real. Then, 1922, Arthur Eddington (who had led the eclipse expeditions that confirmed the underlying general theory three years before) showed that two of the three forms Einstein had proposed were mathematical mistakes, born of the choice of coordinate system Einstein used for his earlier calculation. “…After finding relationships that cast doubt on the existence of gravitational fields rigorous wavelike solutions, we have thoroughly investigated the case of cylindrical gravitational waves. As a result, there are strict solutions and the problem is reduced to conventional cylindrical waves in Euclidean space”. Einstein was often swift to annoyance. 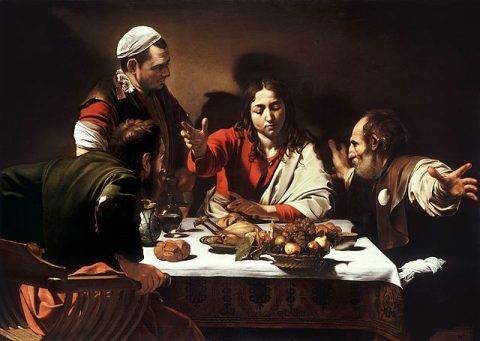 He could, though, on reflection, be corrected — as he was here. The issue remained, though, that gravitational waves were complicated to model, and hence even to imagine detecting. The article linked above and again here is a history of the idea, and it shows how much thinking and doing — for decades — went into the moment of discovery this prize celebrates. And that just gets us to the gate of the work behind this year’s physics Nobel. Weiss first came up with the idea for the detector that ultimately heard two black holes colliding almost exactly fifty years ago, after teaching MIT’s introduction to general relativity. The next decade, he began the collaboration with fellow laureate Kip Thorne, the near legendary Caltech general relativist to advance the idea of a large-scale interferometer as a gravity wave observatory. The next key collaborators, Ronald Drever, who died last year, and the third prize-winner, Barry Barish, credited with the transformation of Weiss’s original notion into a full fledged and ultimately enormous lab, joined soon after. The actual detection took place a mere four decades on. And it’s beautiful — as Einstein once said of other work, an example of “the highest form of musicality in the sphere” of scientific endeavor. The scale, the unholy precision, and the extraordinary extension of human perception into the most forbidding recesses of the universe are simply sublime, glorious and terrifying. In these wretched political times, the notion that some of our species can create on such an encompassing canvas is…a balm, at least. And, not to harsh that mellow, but because everything is political to me these days, a final thought. Einstein, an immigrant, discovered the underlying concept. Rai Weiss, born in Berlin in 1932, escaped with his family from the Nazis first to Prague and then New York. Mavalvala, featured above, a key contributor to the ultimate instrument that made the detection, came to the US to pursue knowledge at the highest level from her home in Turkey Pakistan [apologies for the error]. Many, many more people from all over dedicated days and nights and years of their working lives to making this happen. David Anderson’s post at Balloon-Juice got me thinking on single payer vs. universal coverage — I’m with David (and Elie). Don’t care how we get to health care for all Americans, as long as we get there. Stage one: Medicare For All Kids. Same program, just for every kid up to the age of 18–or 26, to match current ACA practice. The reasoning in my wholly non-expert addled brain being twofold: first, kids are, as a group, cheap to cover, so the financial lift here is presumably manageable. Second: this has an aspirational frame that can be used to persuade. I don’t know about you, but I’ll take (I took) risks on my own behalf I would never have done had I my son to keep safe when I started my own small business. I don’t know how many people have deferred or abandoned dreams because they couldn’t go insurance-naked for their kids. That’s anecdata, but David Leonhardt made much the same argument way back in 2010 in defense of the bill that became Obamacare. Medicare For All Kids, presented as a way to unleash Americans’ entrpreneurial spirit, would be a proposition on which I think Democrats could go to town. The next stage is to take the step that didn’t find our David’s 218-51-5 support in the last go-round: Medicare (buy-in?) For All Over 55. This is a form of public option, and it would expand the single-payer approach to more and more of those either utterly unable to take on health risk themselves (kids, the post-work elderly) and those whose age-adjusted risk is growing to the point where it threatens to become unmanageable. Again, this would require persuasion, but the idea that older but not old folks who might face, say, a 2008-like crisis of employment should find a ready avenue to coverage is, again, a case that can be made (by a better political rhetorician than me). That leaves 27-55 year olds on their own — or rather, within the existing Obamacare/expanded Medicaid universe. But it establishes a template for a single payer form of coverage without requiring a wholesale change over of a system with tons of interested parties and rent-seekers eager to defend their turf. So — to steal Ta-Nehisi Coates’ old line: talk to me like I’m stupid. What’s wrong with a crabwise walk towards increasingly universal health care, along these lines or better ones? For both politics and policy, what would be wrong w. introducing, say a Medicare For All Kids bill in this Congress, just to get that ball rolling? Categories: Moral Trumpitude, Republican knavery, Stupidity, Things that actually matter, Two Parties -- Not the Same, Uncategorized, Who thought that was a good idea?, Why Do They Hate America So? Here’s what I don’t get. Trump’s Treasury Secretary, Steve Mnuchin, is a rich guy. Seriously rich: on the order of a half a billion in net worth, w. a cool $70 million in 2016 earnings. If he wants to check out a cool event — a total eclipse, say, a desire I wholly understnd — he can afford to do so at any level of comfort he chooses, and never miss the lucre. Last week, Treasury Secretary Steve Mnuchin took Mitch McConnell, some other Republican lawmakers, and his wife, Louise Linton, to Kentucky, ostensibly to touch large piles of gold at Fort Knox. Coincidentally, Kentucky also happened to be one of the best places to watch the total solar eclipse, which happened to occur on the day of their trip. Nothing says populist like that kind of fashion profile, eh? The U.S. Treasury’s Office of Inspector General is reviewing the flight taken by Treasury Secretary Steven Mnuchin and his wife, Louise Linton, last week to Louisville and Fort Knox, Ky., following criticism of their use of a government plane on a trip that involved viewing the solar eclipse. “We are reviewing the circumstances of the Secretary’s August 21 flight . . . to determine whether all applicable travel, ethics, and appropriation laws and policies were observed,” counsel Rich Delmar wrote in a statement to The Washington Post late Thursday. “When our review is complete, we will advise the appropriate officials, in accordance with the Inspector General Act and established procedures,” Delmar added. Yo! Mnuchin! Pay attention here. The Air Force is not your personal air taxi service. You want to take a day off? Fine. You’re the boss. You can play hooky to join millions jazzing on the sun’s waltz with the moon. And you can pay for it your own damn self, just like I did, my brothers, and everyone I know. More seriously: someone who actually takes public service as service knows not to give even the appearance of putting one’s hand in the cookie jar. And it’s not as if this puts Mnuchin through any hardship. As noted above, he is far and away rich enough to pay for all his pleasures; there’s no meaningful gain to him to sleaze a little grift off the top. But apparently, he can’t help himself. These guys: scum floats — but how can you tell when it’s scum all the way down? 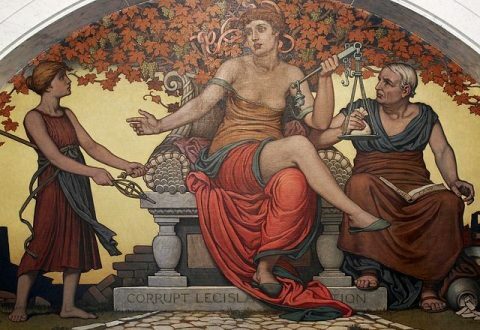 Image: Elihu Vedder, Corrupt Legislation (detail), mural in the Library of Congress, 1896. So: some folks choked on Annie Dillard’s perhaps overly magniloquent response to her eclipse, so here’s something quite different for the more Augustan among us. It happen’d once, that a Discourse began between the Father and Mother about the Eclipse of the Sun, which fell out in April 22. 1715. The Eclipse of the Sun was the Subject of all Con|versation at that time, having been, as is well known, so Total, and the Darkness so great, as that the like had not been known in that Age, or some hundreds of Years before. 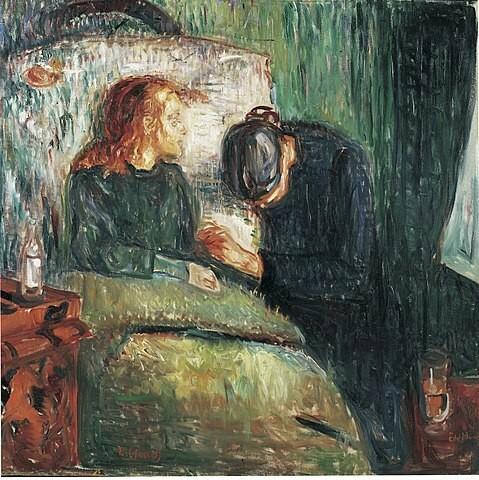 The Wife had enquired of her Husband, what the Nature of the Thing was, and he was describing it to her and the Children in a familiar way; and, as I said, that a kind of Reflection upon one another was the usual Issue of their common Discourse, so it was there; the Husband tells her, that the Moon was like a cross Wife, that when she was out of Humour, could Thwart and Eclipse her Husband whenever she pleased; and that if an ill Wife stood in the Way, the brightest Husband could not shine. She flew in a Passion at this, and being of a sharp Wit, you do well, says she, to carry your Emblem to a suitable height; I warrant, you think a Wife, like the Moon, has no Light but what she borrows from her Husband, and that we can only shine by Reflecti|on; it is necessary then you should know, she can Eclipse him when she pleases. Ay, ay, says the Husband, but you see when she does, she darkens the whole House, she can give no Light without him. Ʋpon this she came closer to him. I suppose you think you have been Eclips’d lately, we don’t see the House is the darker for it. That’s because of your own Darkness; I think the House has been much the darker. None of the Family are made sensible of it, we don’t miss your Light. It’s strange if they don’t, for I see no Light you give in the room of it. We are but as dark as we were before; for we were none of us the better for all your Hypocri|tical Shining. Well, I have done shining, you see; the Darkness be at your Door. 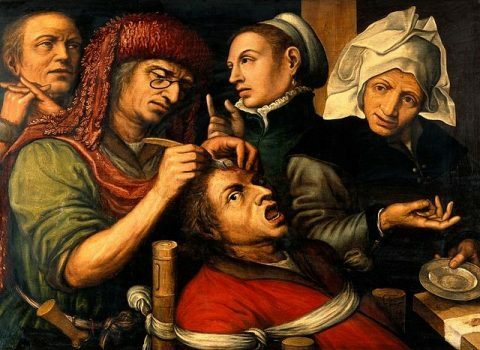 It’s evident that both meant here, his having left off Family-Worship; and it is apparent, both were come to a dreadful Extremity in their Quarrel. At my Door! am I the Master of the Fami|ly! don’t lay your Sins to my Charge. No, no; but your own I may; It is the Retrograde Motion of the Moon that causes an E|clipse. Where all was dark before, there can be no Eclipse. Your Sin is, that my Light is your Darkness. That won’t excuse you, if you think it a Sin; can you not do what you please without me? My advice to the husband? Don’t throw shade when your own wit is so poorly lit. 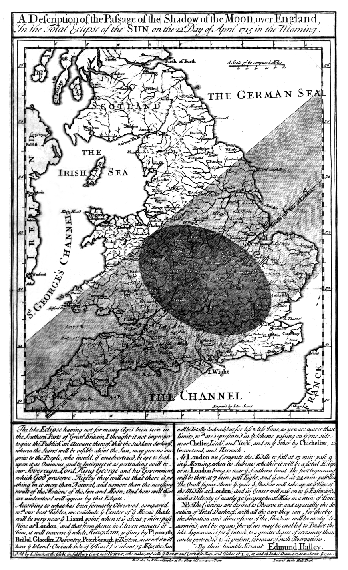 Image: Edmund Halley, A Description of the Passage of the Shadow of the Moon over England In the Total Eclipse of the SUN on the Day of April 1715 in the morning.